We’ve assembled all the resources you need to learn about AssurX and leveraging quality management and regulatory compliance software across any enterprise. Browse through the complete libraries to find product and industry specific information, customer case studies, as well as webcasts and whitepapers on a variety of topics. Learn the industry’s best practices for initiating and implementing an electronic document management solution for start-up and emerging Life Science organizations. See how a powerful configurable automated tool can help you meet your document management needs and allow your organization to efficiently utilize the right resources at the right time. Management of employee training is an essential and required quality process that all pharmaceutical, medical device, and biotech organizations must address in a highly regulated environment. See how using a powerful automated solution can meet these training management needs and allow your organization to efficiently utilize the right resources at the right time. THE FDA'S EMDR MANDATE: ARE YOU COMPLIANT? See how a compliant eMDR solution delivers improved on-time reporting and can substantially improve accuracy and productivity. Learn how you can electronically submit and manage your adverse event reports integrated with a complaints management process to better centrally manage and control your adverse event reporting. See an in-depth demonstration of the product and watch actual submissions being processed and accepted by the FDA’s submission gateway. Learn how automated NERC compliance management can help with CIP-002 thru CIP-009 compliance and documentation. This webcast examines best practices for managing CIP workflows including configuration, change management, and process/plan review workflows; and details the best methods to track and store compliance documentation such as compliance basis rationale, evidence, tasks and review results. This webinar provides an overview of the elements that make up a best practice automated audit management system. You’ll also see an implementation-ready (and fully configurable) audit management system. This webinar discusses and demonstrates how an electronic change management system dynamically manages change evaluation, planning, implementation and documentation. Learn the common pitfalls to avoid and essential steps to take when planning and implementing software automation within your quality management system. Developing and managing a corrective action process that improves your company offerings and complies with industry regulations is daunting enough without the requirement to automate it using software. Without control and support, corrective action can deteriorate into a time-consuming waste of resources that is a detriment to your organization. This webinar will cover the best practices for automating a corrective action process and how automated software can facilitate management of this process for improved effectiveness and efficiency. Coping with changing standards and evidence collection for NERC and Cyber Compliance with a small workforce using spreadsheets and limited compliance applications is challenging, if not impossible, for Registered Entities. Learn how automated, integrated compliance solutions have proven to not just get the job done, but also build proactive compliance programs for utilities, generators, and cooperatives of any size. This webinar provides an overview of how automating and integrating policy and procedure management creates a controlled process to mitigate risk and improve user compliance. This webcast demonstrates how utilizing a dynamic RSAW management system enables Registered Entities to be spot check and audit ready with current NERC requirements. This webcast discusses how Registered Entities are handling changing standards and evidence collection for NERC Compliance with limited resources using automated compliance management systems. 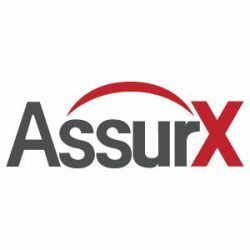 Learn about the AssurX system can help utilities, generators, and cooperatives of any size achieve and maintain NERC compliance initiatives. Learn how registered entities are tracking their maintenance programs with the changes to the PRC-005 NERC standard. See how a comprehensive time-based program that addresses component maintenance activities, classifications, and standard directed minimum time-based interval requirements can help utilities, generators, and cooperatives–large to small–achieve and maintain their NERC compliance initiatives. The webinar provides a high level overview of proven strategies for implementing a complaint management process that facilitates gathering, evaluating, investigating and remediating complaints from the premarket stage to closure as well as what practices to avoid. Learn best practices for initiating and implementing an electronic complaint handling solution for pharmaceutical, medical device, or biotech organizations. See firsthand how a configurable software platform automates and streamlines the entire complaint management process—from complaint intake, through review, investigation, regulatory reporting, and returned product shipment tracking. Ensure complaints are handled quickly and efficiently, utilizing the right resources at the right time. This webinar discusses how the modern QMS has evolved to facilitate all compliance with GxPs, FDA, HACCP, ISO standards and more. The presenter explores five (5) essential pillars that form the foundation of today’s modern quality management systems. See how leading companies use automation to streamline end-to-end issue management across the enterprise, as well as build cultures that make safer products and drives business change and growth. We’ve assembled all the resources you need to learn about AssurX and leveraging quality management and regulatory compliance software across any enterprise.